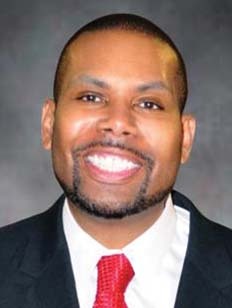 Mark Riddix III, founder and owner of New Horizons Financial Management L.L.C. Mark Riddix III is a third-generation pastor who provides spiritual counseling in his off-hours. But when he is on the clock he counsels investors about saving and growing their money as the founder and owner of Baltimore-based New Horizons Financial Management L.L.C. Opened in 2006, NHFM is a fee-only, registered investment advisory firm that does not sell financial or insurance products, nor does it accept sales commissions or represent specific broker dealers. “Since we receive no commissions for our services, we can work solely on behalf of our clients to build long-term wealth,â€ says Riddix. As analysts continue to debate about future drivers of the nation’s economic growth, Riddix is optimistic going into the fourth quarter of 2012, though he admits it may still be a wild and slightly bumpy ride for financial markets. Riddix notes that the first six months of 2012 showed that Europe’s fiscal issues have affected the prices of commodities and equities worldwide. A slowing economic recovery, sagging job growth, and the presidential election may also keep the markets’ growth range narrow until year’s end. With that in mind, he says, investors need to search for undervalued companies that pay dividends higher than the market average. A value investor, Riddix seeks stocks that have been battered by the market, as the following picks illustrate. 1 MORGAN STANLEY (MS) Value Play. Morgan Stanley felt a tremor last June when Moody’s Investors Service lowered its credit rating and that of 14 other leading financial companies. Its share price dropped from $50 at the beginning of 2008 to $14 in 2011. But Riddix sees opportunity where others hesitate. The stock of the 59,000-employee New York financial holding company remains fundamentally sound, he says, “because it trades at just six times next year’s earnings estimate, 0.5 times book value, and 0.65 times projected earnings growth. The stock is a low-risk play with a low price.â€ Morgan Stanley derives its revenue from initial public offerings, mergers and acquisitions, fixed-income trading, brokerage, and advisory services. It has a $25 billion market cap, a target share price of $19.48 this year, and has been a financial adviser to wealthy individual investors, the government, and corporations since 1935. 2 TOTAL S.A. (TOT) Income Play. The world’s political gyrations, energy thirst, and limited resources make the $167 billion Paris-based Total S.A. one of Riddix’s favorite dividend stocks for income seekers (the stock is purchased through American depository receipts or bank-issued certificates). The integrated oil, natural gas, and alternative energy company pays $2.51 per share and has a 5.81% yield. A positive outlook is buoyed by Total’s operations in more than 130 countries, posted net income of $12 billion in 2011, and a $116 billion valuation. Total’s profitability is tied to the price of crude oil and the firm’s position as the world’s No. 2 natural gas company. “The oil market is cyclical,â€ Riddix says, “but the billions in free cash flow that Total generates are enough to keep the company afloat through any bear market.â€ Total has a target of $57.75.